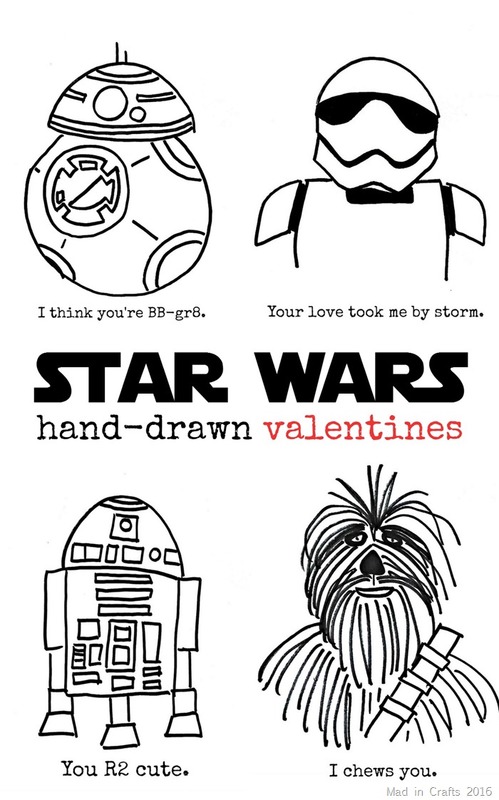 Jack and Holman Wang created a series of books based on the three original Star Wars movies. Their take? Each book is illustrated with epic needle-felted scenes. Jack and Holman Wang / Lucasfilm Ltd.
“Star Wars Epic Yarns is a new all-ages board book series offering a lightspeed take on the original Star Wars trilogy. Each film is pithily summarized in just 12 words and 12 eye-popping needle-felted illustrations. At this writing, Jack and Holman have three upcoming public appearances, including at the Jane Austen Society of North America Annual General Meeting in Washington, DC in October. Jack and Holman’s work can also found at Cozy Classics, where Jane Austen enthusiasts (like me!) can find needle-felted versions of Emma and Pride and Prejudice, among other classic books. Some fantastic preview images of all their work are also available. Thanks, Holman and Jack! 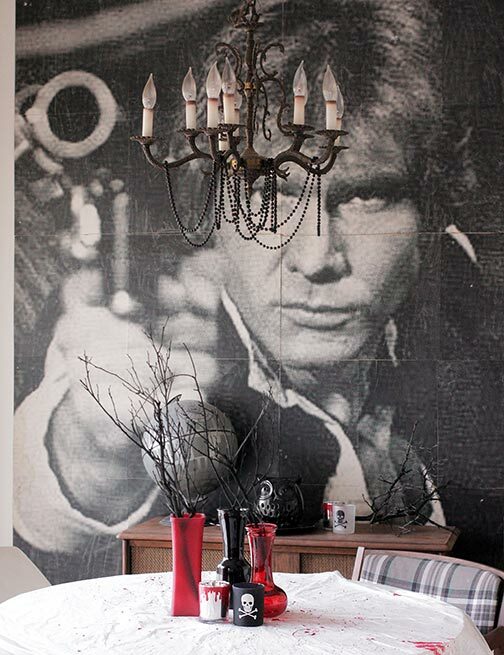 Online Finds: DIY Star Wars Canvas with a Lightsaber! 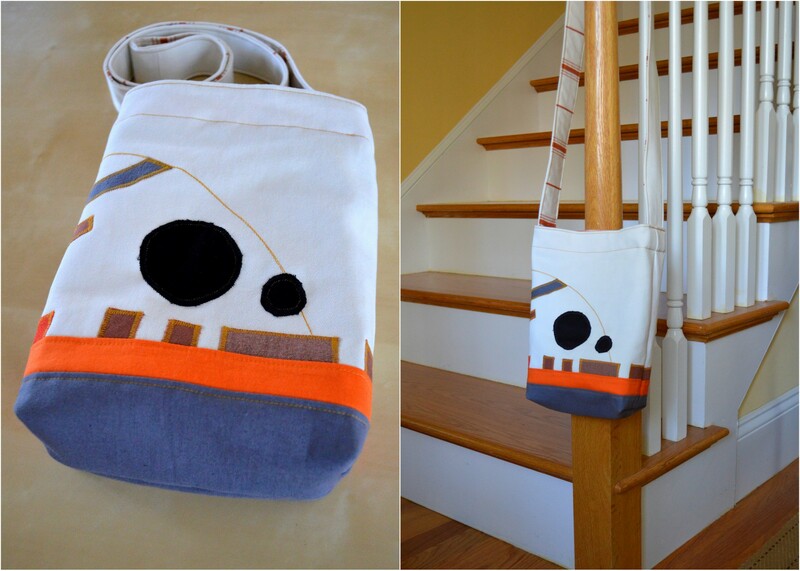 Katie at The Casual Craftlete shared a quick DIY project that’s full of Star Wars win, with plenty of time to get it done before the premier of Episode VII. 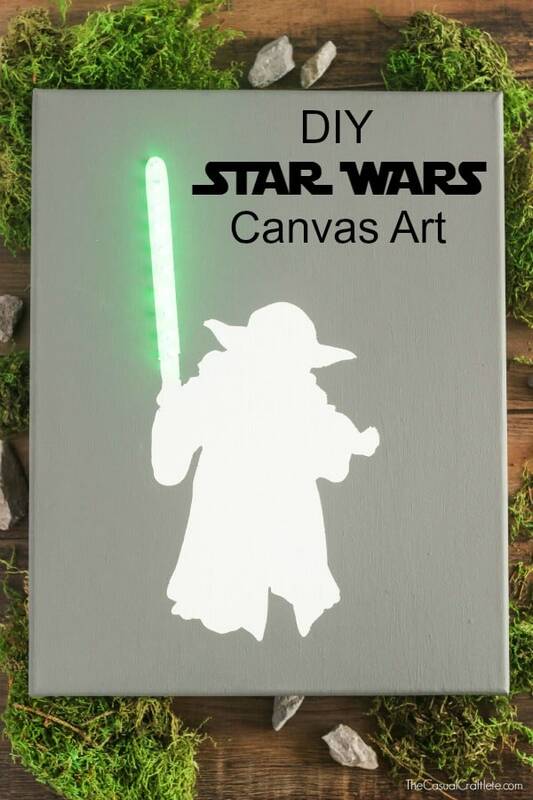 How would you like a Yoda wall canvas with a lightsaber that actually lights up? Katie at The Casual Craftlete. 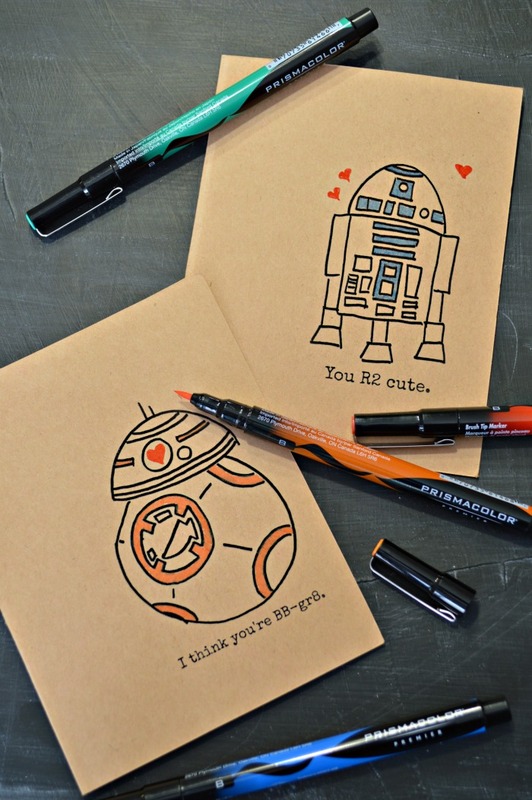 Who am I kidding – who wouldn’t like one, right! You could even make a whole series of them, either in the same color like the elegant grey Katie chose, or you could pick a range of different background colors, something like in this set of art prints by NEVEstudio. See the full tutorial by Katie at her site. Thanks for sharing, Katie! 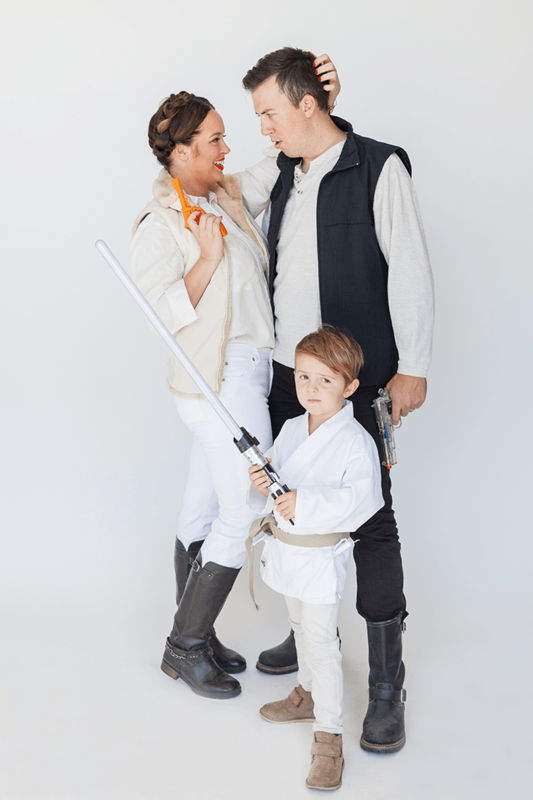 Perfect for Halloween: evocatives outfits that are easy to create almost entirely by using everyday items. Sometimes it’s the whole that matters more than individual details. Great job! Other mashups Hance has created involve the Muppets and superheroes, Muppets and Firefly, van Gogh and Batman, and E.T. and Doctor Who, for instance. He also makes beautiful portraits in several styles. Check it out! Cat & Kam at Our Nerd Home. (Seen with their Halloween décor.) Can’t wait for them to post about how they made it!